Edward Tattoo Fail. . Wallpaper and background images in the Harry Potter Vs. 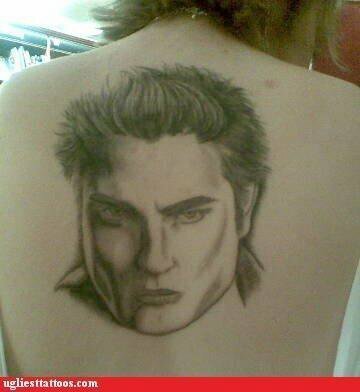 Twilight club tagged: series twilight movie edward cullen tattoo fail. Wow! Look at that. Even as a tattoo Pattinson is ugly. Why HP fans are annoyed door Twilight fans.